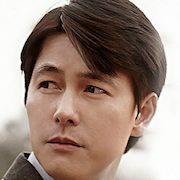 8 years ago, University Professor Hak-Kyu (Jung Woo-Sung) moved to a small town because of a scandal. He worked as a literature instructor at a culture center. He fell in love with a young woman, Deok-Yi (Esom), who worked at an old amusement park. Once, Hak-Kyu was reinstated at the university he left the town for Seoul and left behind Deok-Yi. Now, Hak-Kyu is a popular writer, but his Cheong (Park So-Young) blames him for her mother committing suicide. Hak-Kyu is also losing his eyesight to a disease. He is barely able to see. At this time, Se-Jung moves in next door. Nobody realizes Se-Jung is actually Deok-Yi, the woman Hak-Kyu betrayed 8 years ago. Movie retells the classic Korean tale "The Story of Simcheong" ("Simcheong Jeon"), but set in the present day. Filming began March 5, 2014 at an amusement park in Namwon, North Jeolla Province, South Korea. 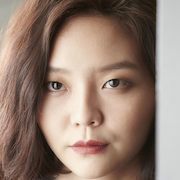 The first scene filmed involves Professor Hak-Kyu (Jung Woo-Sung) from Seoul meeting 20-year-old Deok-Yi (Esom) for the first time at an amusement part in a small city. Deok-Yi works at the amusement park. Claire Apr 06 2018 12:17 am I realy love this movie! Highly recommended! The casts is so good and the plot so interesting! ^_^meow Oct 11 2014 1:59 am The plot seems interesting. Just seeing the trailer, worthy of an intl award!! !